Exactly three years ago, I started this blog. I did not know where this adventure would take me, and here I am three years later. A big thank you to all of you who have been following me in my culinary adventures. It is always a pleasure to interact with you and your kind comments are always welcome. My sister-and-law asked me if I would have any use for leftover phyllo pastry. I immediately said yes, and I knew exactly what I wanted to make. You see, I wanted to make a traditional Easter pie filled with spinach, ricotta, parmesan and whole eggs, but JB doesn’t appreciate that pie so much. I thought that this savoury pie would be more appropriate for our taste buds and I was right. This is an original Tuscan recipe, usually made with homemade dough, using white flour, olive oil and a bit of water to put it together. I personally think that this type of dough is too dry, and I don’t like it. Using phyllo pastry instead made for a beautiful flaky pastry, and although not traditional, still had the olive oil flavour it needed. The only thing I kept traditional is that the filling, including the swiss chard, has to be raw when making the pie. For this to work, you need to remove the excess moisture from the chard, by salting it and leaving it in a colander for an hour or so. Doing this, the chard will wilt, and you can proceed to make the filling. This is why some people call this pie: the salted pie of Pontremoli. 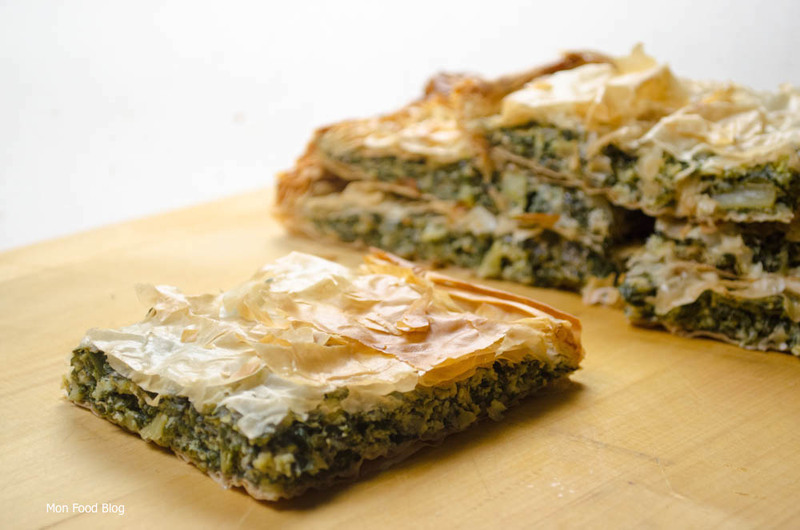 Several countries have a recipe like this one (usually using spinach) in their repertoire: just think of Greece with its famous spanakopita, and Turkey with its famous Borek. Now you have a Tuscan version for your repertoire. Contemporary versions could also include finely sliced onions or leeks, which I decided to leave out this time around. 1. Chop the swiss chard crosswise in large ribbons, about 1 inch wide and put in a colander. Season generously with salt and mix thoroughly with your hands. Leave it at room temperature for about 1 hour to remove excess water from the chard. 2. Transfer to a salad spinner and spin several times to dry the chard up. Make sure all the excess moisture has been removed. 3. Take the chard and now, chop it as finely as you can. 4. 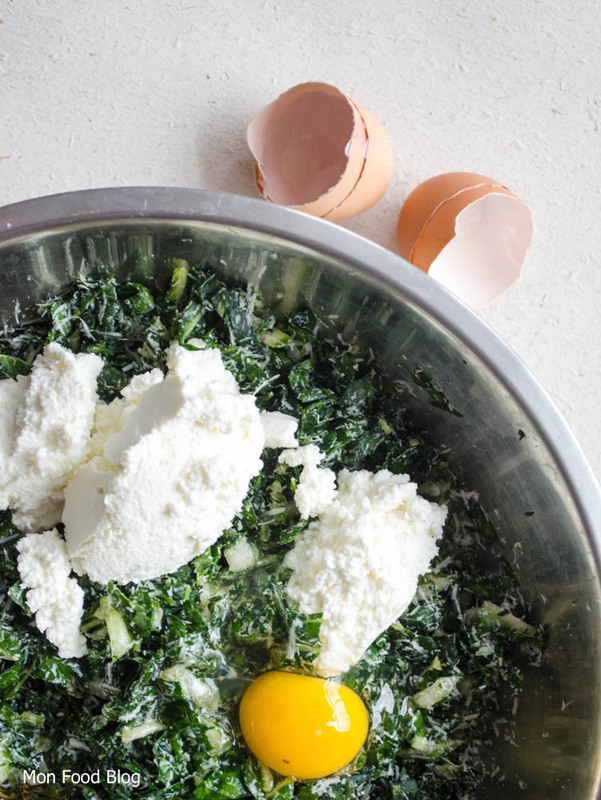 Transfer the chard to a bowl, and add the ricotta, the eggs, both cheeses, breadcrumbs and oil, and mix well. Taste and correct seasonings to your taste. Set aside. 5. Line a cookie sheet with parchment paper and start building the tart. Take 1 sheet of phyllo dough, and brush it all over with olive oil. Repeat this process with three more sheets of dough, keeping the unused sheets of dough under a damp towel to prevent them from drying out. 6. Spread the chard mixture onto the four sheets of dough to make one thin layer, leaving 1 inch or so all around. 7. Put four more layers of phyllo dough on top, brushing olive oil between each layer. Take the sides and roll them up to make a nice finish all around. Brush more olive oil on top, and make a few holes with the tip of a knife to let steam escape. 8. Put in the middle of the oven until nicely golden, about 40 minutes. Let cool to room temperature, slice and serve. Eat at room temperature or cold. Just stumbled upon your blog. You have some fabulous recipes here. 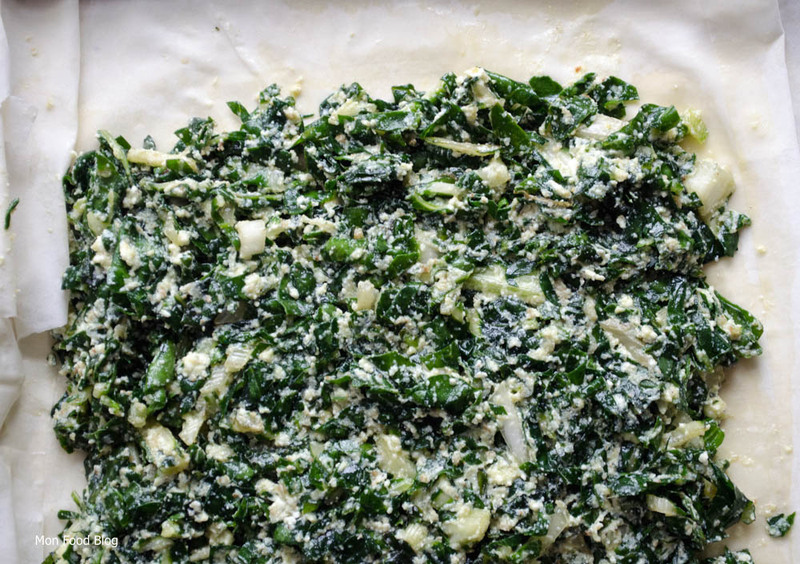 I love spanakopita and I think it’s about time to cook up a pie using chard instead of spinach. Great recipe! And congratulations on 3 years of blogging! Nice to have found you today. Thanks, just had a look at your blog. What a great blog you have! A personal favorite, and something I make often– but yours is so much prettier than any I’ve ever done! Congrats on three years. 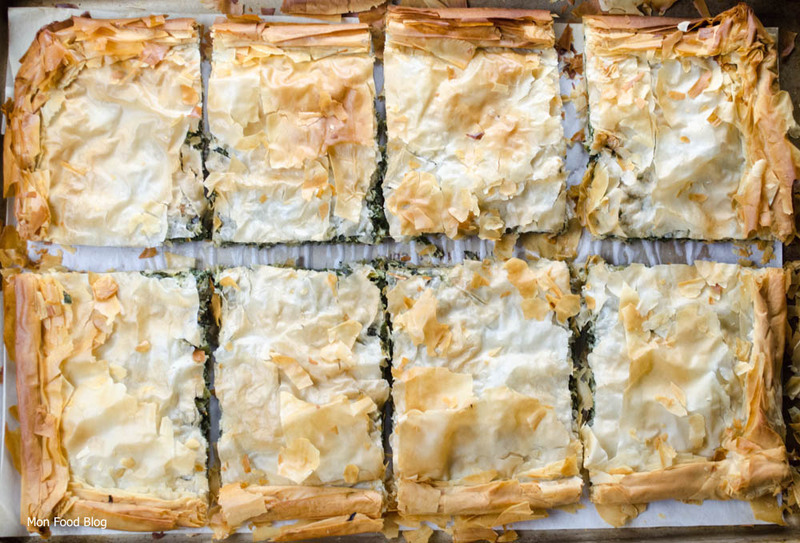 I happen to have phyllo in the fridge – I must make this! Swiss chard, what a nice change from spinach.